UPDATE: 08/12/2010: I’ve added a link and section regarding the rack and pinion mod implemented by Sam. UPDATE 01/19/2010: Here is a link to the post about Lawrence Elliot’s nice little mod of the bell crank to eliminate sloppiness. This is a simple way to improve steering sloppiness while keeping everything else stock. UPDATE: The picture below is how NOT to update your the steering in your jeep! 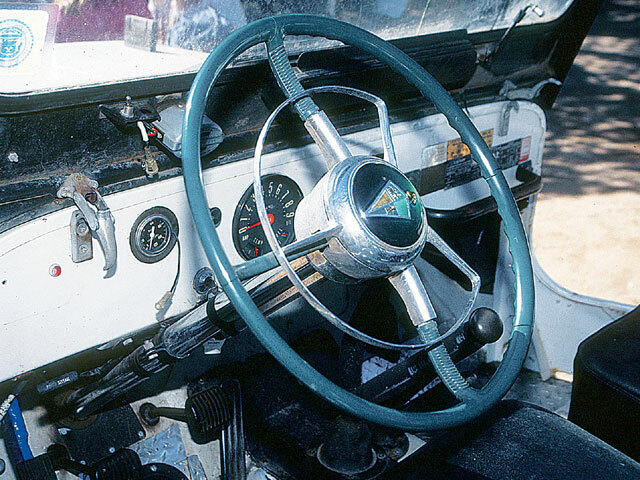 I found a picture of this crazily creative solution for updating the steering mechanism on an early jeep at JP Magazine, so I’ve added it to a post I made about steering upgrades last April. I’ve also updated this post with images from two different jeeps that installed a saginaw non-power unit within the engine compartment and can be found under section 3B. 1) Keep the stock setup (but this is often impractical when upgrading to a v6 or v8). 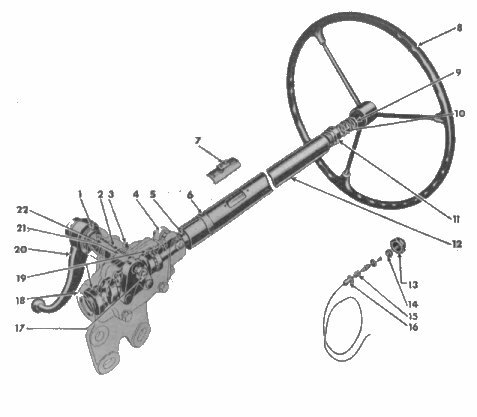 This is a Ross worm/sector manual steering box and a drag link that connected to a frame-mounted bellcrank. These can still be found using craigslist and junkyards. Here’s a quote from the CJ-3B site. 3) Swap in a saginaw or GM steering box that is not power steering. I had one of these in a jeep my parents bought me (before I rebuilt it). However, even with a lightweight v6, it was a pain to steer when the jeep was not moving. To install one of these boxes requires creating some kind of sturdy mount so that it will mount against the left front frame member near the bumper. Then, likely, you’ll have to replace the front cross member (usually with heavy angle iron with a V cut into it) to accommodate the steering column rod. Finally, you’ll likely need to replace the steering column itself with a column that will easily connect to the new steering box. 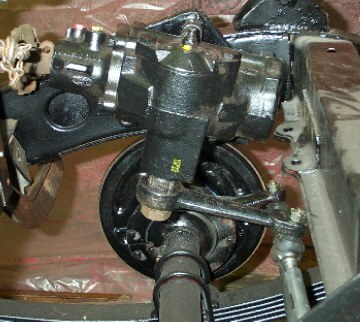 Here, Dan documents his swap of a Hudson steering mechanism with a manual saginaw system. 3b) Swap in a saginaw or GM steering box within the engine compartment. I’ve not seen this done in person, however, it looks like a slick way to install a newer box without having to cut either the grille, the crossmember, or both. I would think this would only work with a 4cyl engine though. Maybe a straight six would work as well. You can read more about this at the Pirate 4×4 website (scroll part way down the page to see the pics). 4) Swap in a saginaw power steering box. Swapping in the power steering requires everything in #3 plus you’ll need to route the two hydraulic steering lines through the grill, under the grill, under the the new crossmember or through the crossmember (which is what I am going to do __ see attached pics). I’ve not met anyone who was sorry they had powersteering, especially with a v8. Here’s a nice clean version http://cj3b.info/Tech/SaginawSteering.html (note: though I haven’t seen many jeepers move the crossmember exclusively to the front of the frame as shown in that link. If you are running a meaty v8, I’d think that with the older frames you’d get some serious twisting. Once the steering unit is installed, you’ll still need to run those pesky hydraulic lines. I wrote two posts on this. Here’s the First Post, which examines what a Toyota Land Cruiser owner did to run custom lines. This Second Post shows what I did. In my case, you can see what I did by reusing the cj5 power steering bracket. When I built my first jeep, I took a 1/2″ piece of flat steel, drilled the mounting holes for the steering, welded the plate to the front left frame and then used some spacers so that the powersteering would fit correctly. 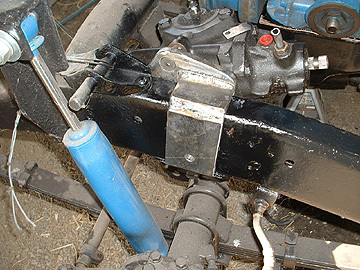 Below is how I’ve connected my hydraulic saginaw unit to the stock CJ-5 mount, which mounts to the frame with four bolts. 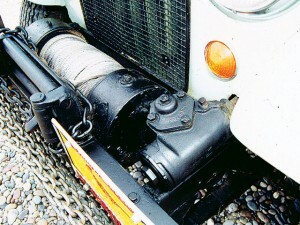 5) Hydraulic steering. I have not driven a vehicle with this system, but I noted last august that several jeep racers are now using this system. Essentially, the steering column direct connectivity to the steering rods is replaced with a pure hydraulic system. You can review an article here. 6) Rack and Pinion Steering. 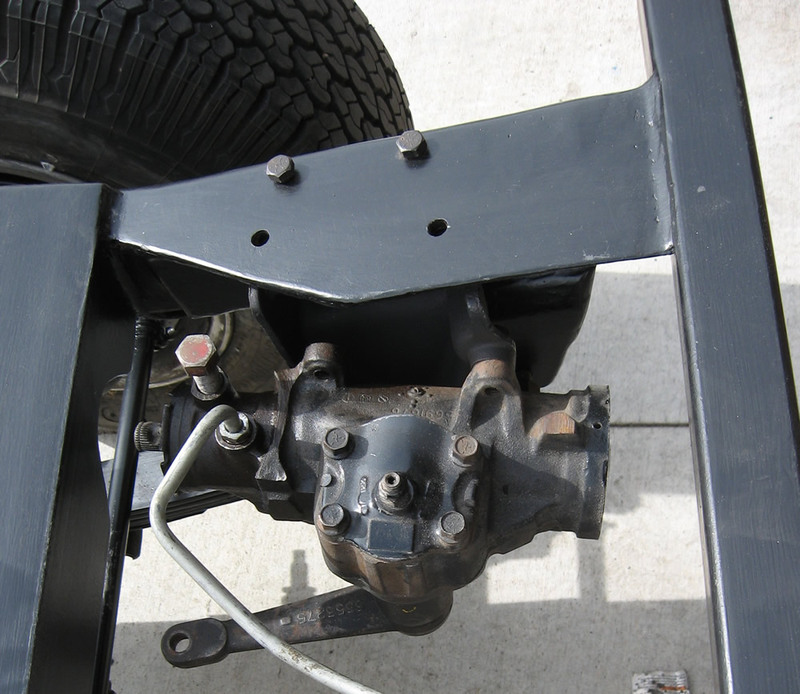 At Flatfender Willys, Sam has been implementing an off-the-shelf rack and pinion system that easily improves the steering of flatties without the hassles of adding hydraulics. Learn more here. If I missed some steering system with which I’m not familiar, please let me know! Can you modify the power steering on my 2004 Tahoe Z71 4wd to mbaout 2 pounds resistance. I would send you the gear box. If you can’t can you tell me who might do it? Thanks for the question. I haven’t ever worked on a 2004 Tahoe power steering unit, so I’m not the best choice for modifying it. Where are you located? I can see if I can find someone near you who can do it though. i don’t like the steering mod on the first picture the welds don’t look like they’d take much to break. I have a 1949 Willys Jeepster and am thinking of modifying the steering to make it handle better with power steering or converting to a Mustang 11 front end. 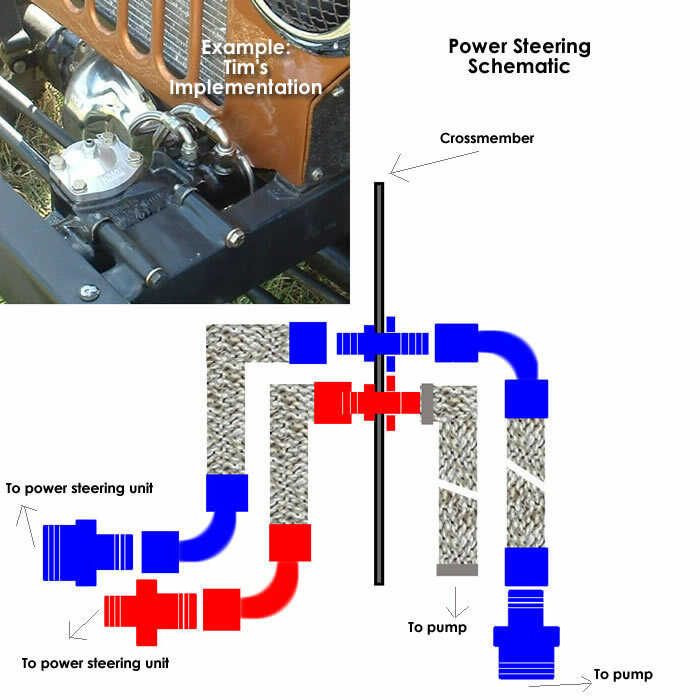 Would you have information on a power steering conversion for my Jeepster? Sorry, I didn’t have much luck searching for what you need. 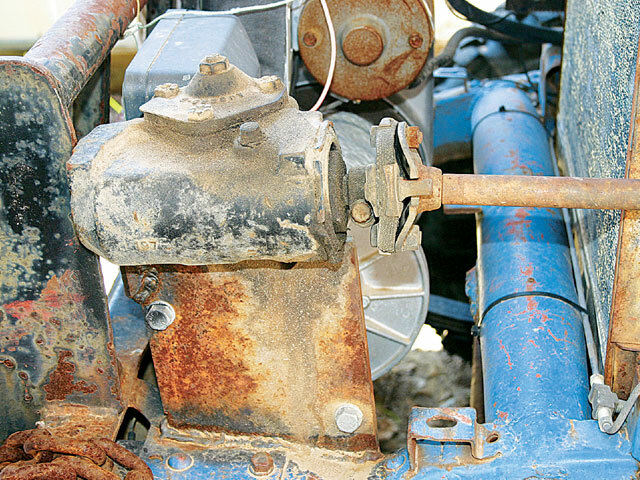 Any power steering conversions related to later model rather than early models. I inherited a 1955 CJ5 from my grandfather. Back in the ’60s he installed a Hudson steering system. Your post is the only other time I have heard of this. 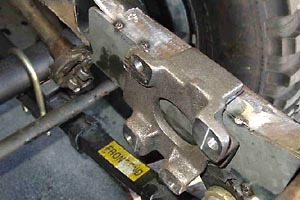 The Hudson conversion leaves the original drag link that goes from the steering box to the bell crank. He also relocated the bell crank and swapped the tie rods around so that the tie rods were like a modern Saginaw conversion with the left hand threaded tie rod (the one with the hole in it) is now at the passenger tire instead of the bell crank. I am in the process of converting the Hudson box over to a manual Saginaw unit mounted behind the bumper, eliminating the bell crank and drag link by the engine. This means that I will also have to make a steering shaft from the new Saginaw box to the steering column, but that is pretty common and well documented. I am going to leave the Hudson column since it is pretty basic and has self canceling turn signals. This will require me to cut the Hudson steering column shaft and turn it down to 3/4″ on the end so I can weld on a steering U-joint. The other challenge is the steering wheel. Since the plastic on the Hudson steering wheel was all split and cracked I wanted to replace it with a Grant wheel. Well good luck trying to find an adapter for that. Also the self canceling feature of the column will only work with the original steering wheel. I ended up cutting the wheel apart and taking out the middle metal piece with the splines in the center and tines for the turn signal unit. Now I just need to machine an adapter plate to weld to it that will accept the standard three hole steering wheel and weld it to the old Hudson part. If you have any pics of this I’d appreciate seeing them as I’ve not seen a picture of a Hudson box installed. Best of luck with your efforts and thanks for sharing you information. I sent you an email with some pictures and more information. Let me know if it doesn’t come through. so i got CJ2A with a 350 chevy small block in it (maybe a little to much power for it haha), out of all of these choices what do you think is the best for price and results? or the price doesn’t matter but you get the best results? Well, depending on the current set up (assuming you have a stock system), the cheapest and easiest might be going with a Hudson setup. However, they aren’t easy to find anymore. It also depends on what you will do with the jeep. If you are doing some serious jeeping, you’ll likely want power steering, as it really is an asset when you are in the trails. NOTE: I’ve never been jeeping with a Hudson setup. The power steering mod will require some changes. If you are unfamiliar with welding or don’t have someone who can do this, then this could be a challenge as the power steering unit should attached to a nice thick plate (1/2″ thick) welded to the frame. Then, you’ll have to run the steering column over, under or through the front cross member located under the grill (assuming it is still there — usually when a V-8 is installed, those cross members get replaced). Fortunately, the power steering pump and steering units are pretty inexpensive and very available. I hope that helps .. feel free to ask additional questions. alright! thanks so much! i’m only 16, i Inheirted my jeep. but my step dad is pretty familar with welding and all that stuff. i have the money, its just the matter of getting it started, so i think i’m going to go with the power steering. thanks so much for your time and advice! it really means a lot to me cause i wanna get this thing out on the trails like my dad did back in day. You are welcome. Why don’t you take some pics and send them to d@ewillys.com and tell us more about your jeep and I’ll create and publish a post about it. There are several people your age involved with building jeeps that have contacted me. In fact, I was 19 when I started my build. Also, if you want to take some pics of that front area near the driver’s side of the grille, I can give you more advice. yeah for sure! will do! thanks again. I have a 1930 pro-street model-A with a blown 640 cu in Merlin that used to have the old Vega box in it. I have since used rack and pinion and now it steers much easier. I thought about my 46 cj2A with my small block chevy and thought……why not? Boy was it easy to convert and the steering is easy even when barely moving (parking and hill climbing) Also it has NO PLAY in it so you’re not always correcting the wheel going down the road. This is a NON power unit and it uses the Vega mount and sits behind the grill. You don’t see it. Total cost about $1000,00 The Rack is from Flaming River. 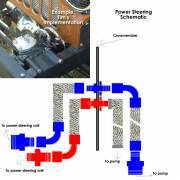 You could also get a unit from any major hot rod supplier like P.A.W. or Jegs etc. Hope this helps you out, it really works for me. They also offer them in power units with the small (in size) pump, but even with the weight of a Small Block Chevy or Huge Merlin, I prefer the manual and my wife has NO trouble turning either of them and she’s a tiny lil thing lol. I would be very interested in seeing some pics of that mod. That sounds very interesting. If you get the time, you can email pics to d@ewillys.com. Thanks for the input Sam! Just to let you know Dave, this rack and pinion is NOT Mustang or anything of the sort. It was designed for street rods using I-beam or Tube front axles. It is a cross-steer push pull unit that bolts up to a Vega mount on the frame. I am going to put together a list of parts (and approx cost) and a “How To” plan for you so you would see how very simple it is to do. I’ll also enclude as many pictures as I can describing the steps to take and where to get the best deals on the needed parts. I may even make a vidio of how it’s done if there is enough interest. To date, I have personally converted about 15 and helped with several more. I am happy to say everyone is very pleased with the performance of their conversions. Oh and yes, the original steering column is retained if wanted. Stay tuned!!!!!!!! You can reach me at 831-325-9616 if you want to call. I’ll look into the unisteer.com link and see if it’s clear what they are doing. The windshield wiper assembly tip is very helpful, as I’ve been facing that issue. I think readers will really appreciate that. I’ll write up both over the next few days and post them. Thanks! And feel free to call me if you’d like to chat. 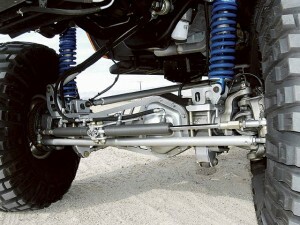 Are there any pic’s or info related to the rack and pinon steering modification? I went to the Unisteer web site and took a look at the rack Sam was talking about and that does look trick and especially if no pump is required. I did not have much luck with the wipers Sam was talking about. I too need to deal with this issue, any info would be great. Sam has provided me the details (specific parts links) for doing this modification, but I don’t have any pics. I’ve been so busy with the kids this past month that I haven’t had a chance to complete the post about this mod; however, I dropped them off today and will have time this week to complete it. Sam also provided me more info about the wipers and I will be discussing this more as well. Essentially, he said the dealers of Model T Ford Parts have the right rod length necessary. Just tell them the length you need. have you got the pics about the rack and pinion steering from Sam? I can´t imagine how this is mounted. Is it possible that Sam use only one side (passenger side drag link) of the steering unit and not both sides? If so, what happened to the driver side output of the steering unit? I’ve got a 4wd 49 wagon w/ the Ross box on the drivers side, pitman arm and a single tie rod between the knuckles. Would the Hudson drive mentioned above work in the Willys utility trucks as well? Not easy to find but looks like a good alternative if the orginal setup goes bad. I’d have to take a closer look at the utility trucks, but I would imagine it would work fine. If that doesn’t work, you could try using Sam’s Rack and Pinion swap as well. That would be the next easiest way to deal with the steering if the Ross box goes bad. I really like the steering ideas that you have. into a 1951 3a any word yet on the “how to plan”? I am looking for a steering box for a 1955 Willys jeep. Do you have any information as to where I could find one? I recently installed electric power steering in a 1966 Mustang. I did not use a kit, I simply pulled a column style EPS from a newer GM vehicle and then spliced the unit into the original steering column. The results far exceeded my expectations and the cost was less than $200. I designed a controller that automatically adjusts assist level based on vehicle speed, so that the steering feel is “just right” regardless of speed. Thanks for the input and the link Jeff. That sounds interesting. Rack & pinions need to be mounted to a fixed point on the frame. They’re great for IFS trucks but putting one on a solid axle 4×4 is a rather frightening prospect. It’s best not to attempt it. I wouldn’t even do it on a 2wd with a dead axle. The only practical options are manual or power steering with a saginaw box. If you’re creative you might be able to rig up an electric power assist but and I wouldn’t know how to do it and there’s no kit that I know of. Turns out there is a kit for a 58 to 83 CJ5 you might be able to modify for other Jeeps but it’s $1450.00. I think the saginaw box is still the most practical option. I have a 1957 Pickup, like to do the Saginaw inside installation. I have the F134 engine & stock steering components. Will this work ?